In later life we all have plenty of things to celebrate – the 50th or 60th birthday party (or even that wonderful day when you become eligible for your state pension! ), the birth of a grandchild, the Ruby or Golden Wedding Anniversary, Christmas and so on. Whatever type of party it is, you want it go with a swing and for your guests to go home saying what a wonderful time they had. Making it Go with a Swing! Unfortunately, these things don’t just happen; organising a party is a lot of hard work and, if you choose to do it yourself, there will undoubtedly be times along the way when you wish you hadn’t! There’s a lot to think about and very often the big day arrives and you suddenly realise you have forgotten something. So, to help you, make sure you don’t forget anything, give you some ideas and enable you to organise a party to remember we’ve put together this Guide to help you. The aim is to provide you with some guidelines on the key areas to think about and plan, together with useful links, so you can use your own inspiration to organise a party that everyone will remember. It’s putting all the ingredients together and making them into a coherent whole that is the ultimate test for you as a party host. If you think about your guests and do everything with them in mind, you will have a very special party – one that people will talk about (for the right reasons) for a long time. Almost everyone enjoys a good party – but what sort are you going to provide? 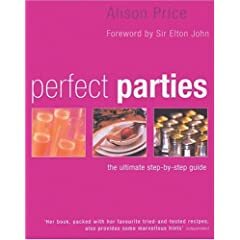 The list of possibilities when organising a party is (almost) endless, but you need to decide at the outset what sort of party you are going to have. Here are some ideas for you, but you will be able to think of some more of your own, so get your imagination working! Themed – The Great Gatsby or James Bond, for example. If it's for someone (a retirement party, for example) have a theme that reflects one of their hobbies or interests. Something in that list should appeal to you – or at least set your mind working so that you can come up with your own, even better, idea! The type of party might well determine (or be determined by) the time of day you have it. Lunch time or afternoon parties can be great – but remember that it might be difficult persuading people to leave if you don’t want them there in the evening! Your options are limited only by your own imagination. Get it out, polish it up and give them a party they’ll remember. Whatever you choose, make sure that both you and your guests have a great time. And make sure your party invitation reflects the great time you want them to have. Until you know how much you are prepared to spend on the party, there are very few concrete decisions you can make. It may determine whether you have it at home or elsewhere and will probably be the dominant factor in deciding the overall nature of the party, as well as how many nice little extras you can throw in. It may even determine whether you are going to ask people to bring a bottle or a plate. So think carefully about how much you are going to spend and then, as you go through the rest of the planning, make sure you cost each element. You don’t want to spoil the ship for a hap’orth of tar – but you don’t want to go broke over it either. This Guide to Organising That Special Party is written by Retirement Specialist Dave Sinclair supported by members of the LaterLife team. As well as writing on retirement matters Dave is Training Director at LaterLife and responsible for the content and continuous improvement of LaterLife's Retirement Courses.